Most of you may have heated up the non-stick pan by now, but for those 9-5ers who would rather spend the extra hour in bed instead of mixing flour and eggs together before sunrise, I want you to make my rack of hot cakes tonight. The name of these has everything to do with the size of the pancakes, they’re tiny rounds, making up about 4 mouthfuls to be precise (I have taste tested this). Of course, you could make bigger rounds, but its Pancake Day so we’re going to celebrate by giving our plates some height. 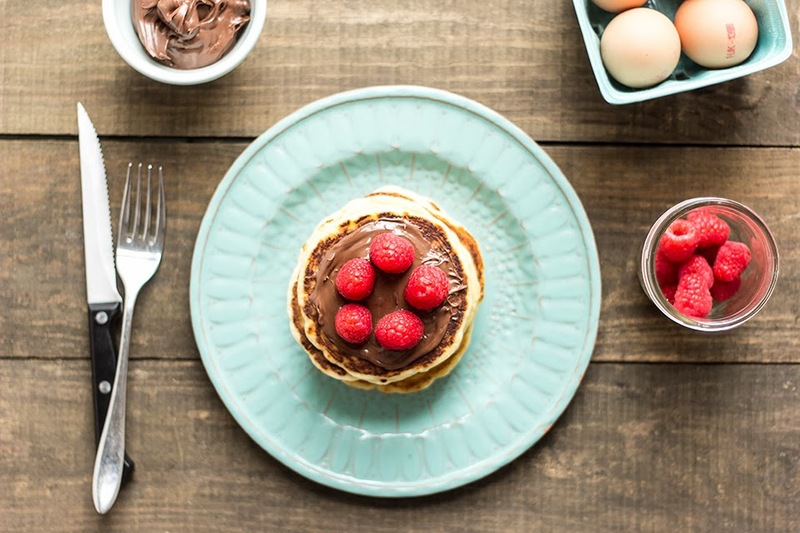 A silver dollar pancake is usually made without buttermilk because its meant to be a small and light little gesture. So if you’re a skimmed milk fiend, these would be perfect. These are the kinds of pancakes, that, when you give them their first flip, you can see them elevate and then fall back down ever so slightly. That’s the raising agents in the self-raising flour doing its magic, which is crucial here if you want an American style pancake. Which, lets face it, is the only pancake that should be legal on Shrove Tuesday. As for every other day of the week, or when you’re strolling down the high street, a crepe from the crepe man with the life size jar of Nutella will do. 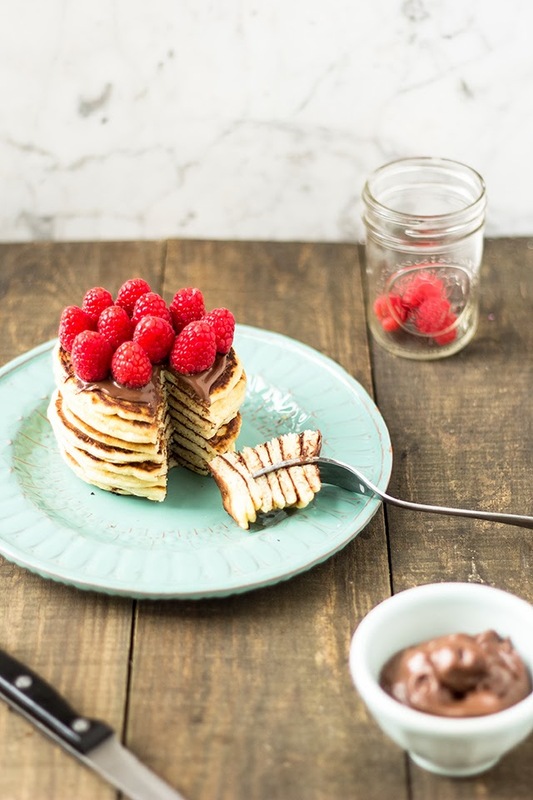 I’ve glued my pancakes together with a slither of Nutella and finished them off with raspberries, below an even thicker slither of Nutella and not least because it looks visually appealing. But because the tartness of raspberries (because they’re so blatantly not in season) contrasted with sweet, sweet and satisfying hazelnut spread works bloody wonders. 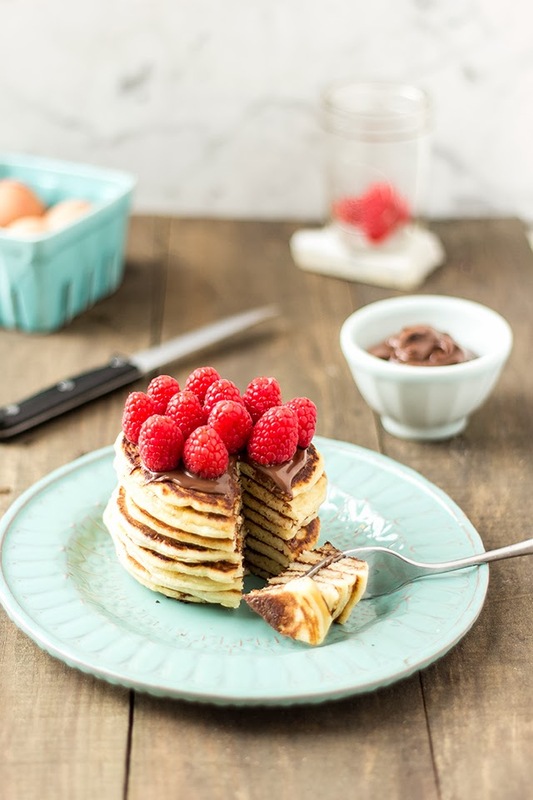 Cocoa Nib and Coffee Syrup Pancakes by Sarah from The Vanilla Bean Blog (she went there). Makes about 20 silver dollar sized, or 8 regular sized pancakes. Note: It's best to use the same cup to measure the flour and milk in. The good thing about this recipe is that it doesn’t have to be one of those exact measuring cups, you can use a standard teacup, just make sure the flour and milk is level when you measure it out. Combine the flour and sugar in a large bowl. Crack in the eggs, pour in the milk and melted butter. Whisk until just combined but don’t whisk out the lumps. Optional: leave to rest in the fridge for 15/30 minutes. Put a nonstick frying pan on medium/high heat; add a teaspoon of coconut oil and leave to heat up. Carefully pour an ice cream scoops worth of batter in the centre of the pan, let cook for 1 minute and then flip, cooking for another minute until golden brown. 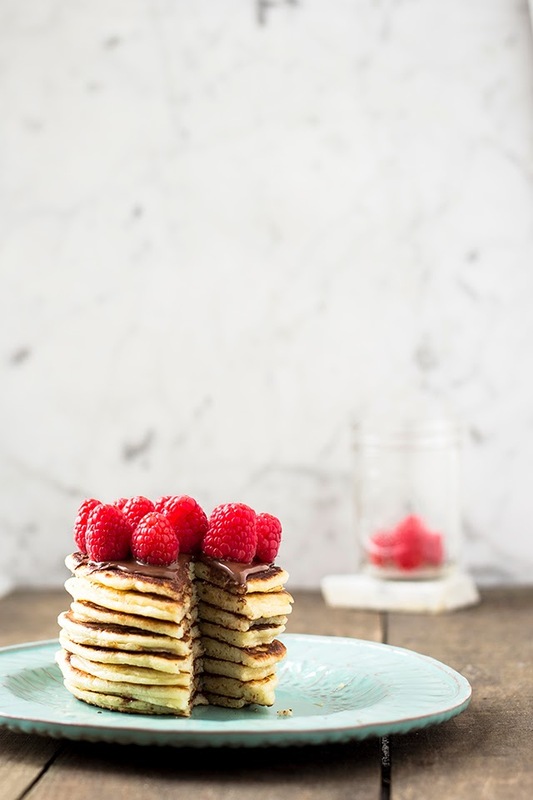 Keep adding a teaspoon of coconut oil every 2/3 pancakes so that each pancake has crispy edges. 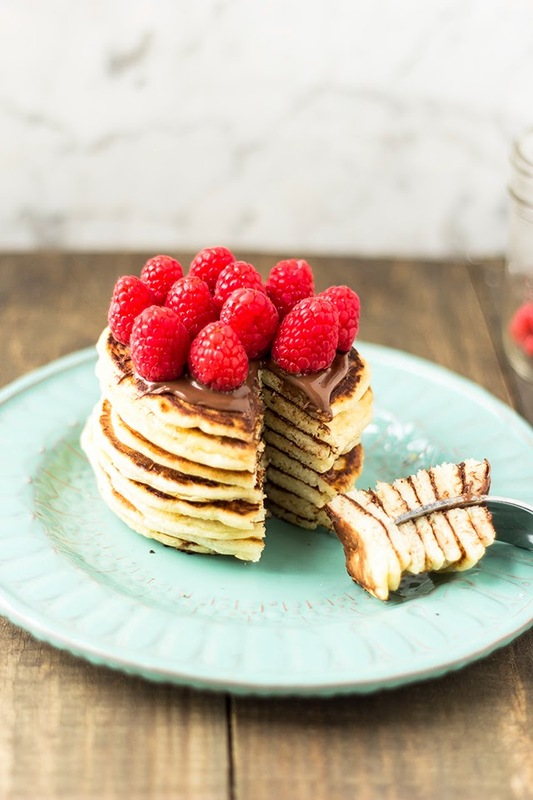 Transfer each cooked pancake to a hot oven to stop them from getting cold while the rest cook. 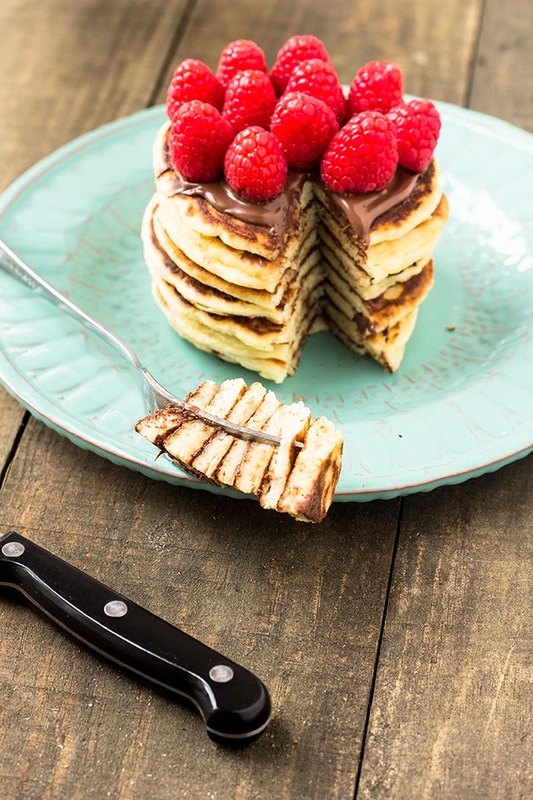 Top with Nutella and raspberries and serve. You Brits have it so good. 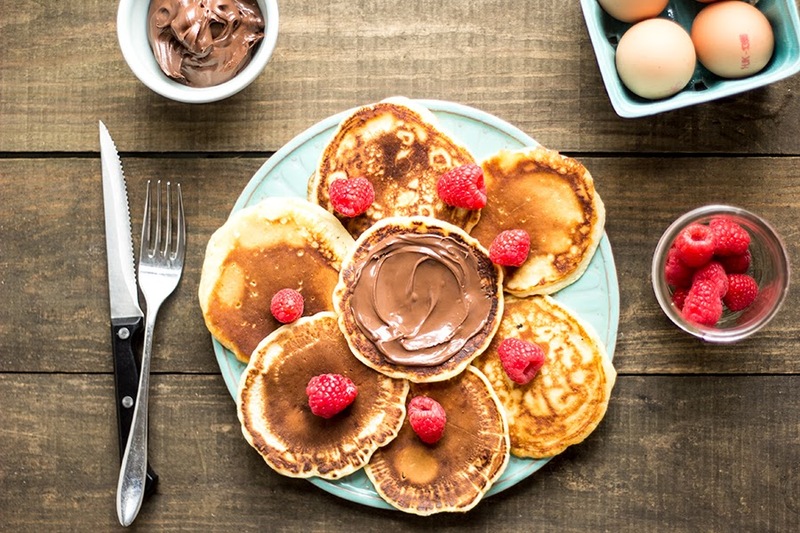 A whole day in which you must eat pancakes for (presumably) every meal?? Here we don't really get to do anything fun today unless we are in one tiny (awesome) city - New Orleans. As for me, I'm just slaving away at work, with NO pancakes and NO Nutella. Please feel sorry for me, and/or send pancakes. Hahaha, I would love to send you pancakes/cookies (we should send each other cookies!!) but im afraid they'd go moudly by the time they reached you!!! Why dont they celebrate pancake day elsewhere?? Cookie swap = done. Just say the word and we are on! That first photo is absolutely STUNNING! Ahh! I bought some nutella to have with pancakes today but all I've done so far is eat spoonfuls of the nutella. I'm not even sure it's going to end up near a pancake.. oops! oh i could happily dive in to that! what a yummy pairing and your photos are stunning....as always. Oh i woke up and had a look at these and started drooling! And seriously wishing I had nutella and raspberries at the ready. Never mind, its on the to do list. Beautiful photography. Thank you! it is a beautiful pairing!! 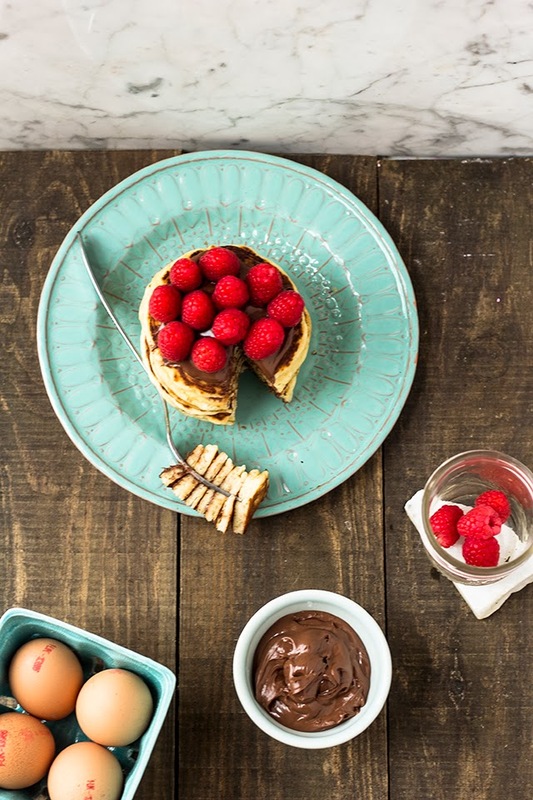 As well as the beautiful pancakes, I love that blue plate!! I have to throw in here, though, that European crepes can be pretty darn good, too, especially with nutella. You can eat more as they're so thin, after all! This is such a great post. Looks so yummy! Your photography is OUT OF THIS WORLD!!! Just amazing. 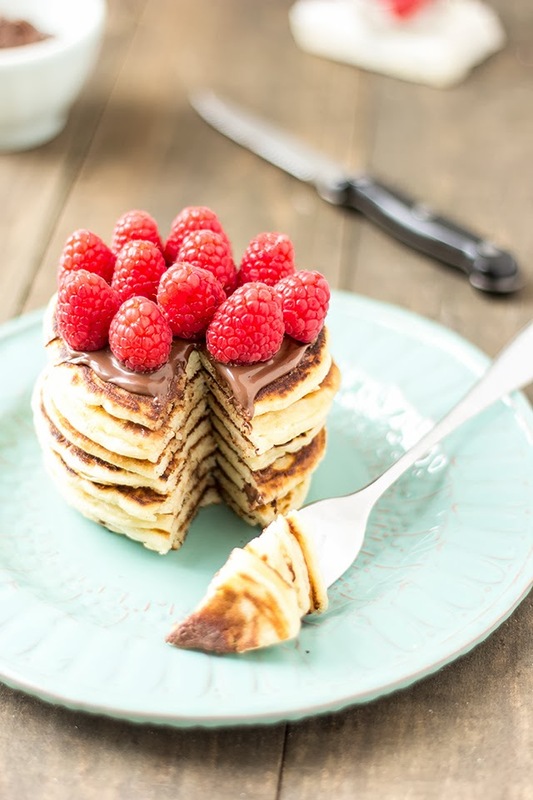 Nutella and raspberries are a match made in heaven for me!! 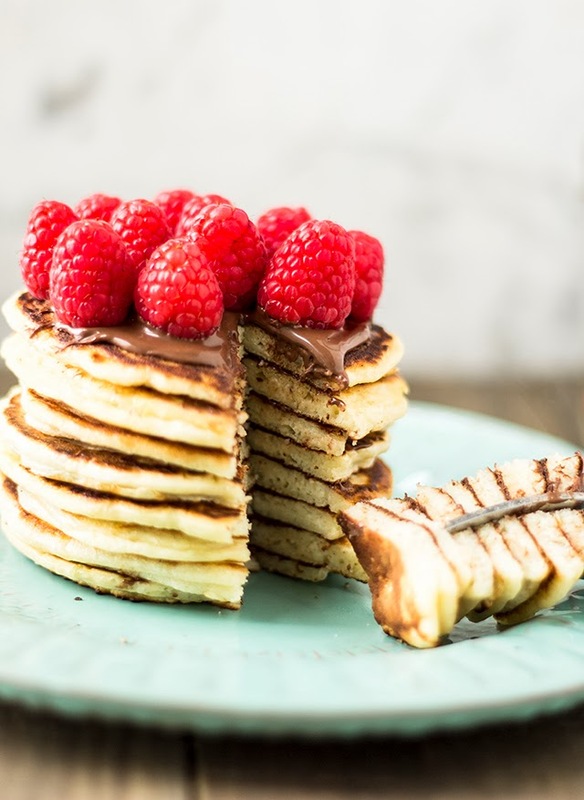 The fact that it's with pancakes makes it even better!